A week until our next meeting! We’re eager to keep things going strong, and our next speaker will be talking about how growing game companies will help to bring more people to the valley, and make Phoenix into a stronger city for the game industry. One of our biggest goals as IGDA Phx is to do just that, so I hope we see many of you at the meeting, and that this talk promotes a great discussion of ideas! 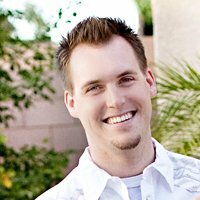 Jason is the President and Founder of Broken Bulb Studios in Scottsdale, AZ. He has worked on the games My Town and Ninja Warz, as well as the company’s upcoming third game. He is a big believer in the potential that Phoenix has to be a hub for the game industry, and is working to realize that potential. He is also a father of two and a lifelong Suns fan. We’ll have a lot of time to mix and mingle before and after the presentation. We’ll be getting committees started in the next few weeks, so if you’d like to lead one, or know what you want to be involved in, speak up! Feel free to shoot me an email if you have any questions or suggestions or anything! The other board members and I are eager to get everything rolling, and we need your help to do it. See you all Thursday! PS- Follow us on Twitter and Like us on Facebook!